The bassist of a band is, in my opinion, the unsung hero of most ensembles. That’s why I try to instill in every bass student a sense of who they are in the ensemble and the importance of their role. I would say that I teach bass guitar from the perspective of an upright bassist, that is I focus on getting the student to learn the correct pitch names (rather than fret numbers) of the positions they play in. I think that is one of the secrets to becoming a versatile bassist in any genre of music. The first thing I like to do is get to know you, the music you enjoy and your goals. In a way, I like to begin by letting the student lead. Played jazz standards in the lounge of the Cincinnatian Hotel three nights per week. 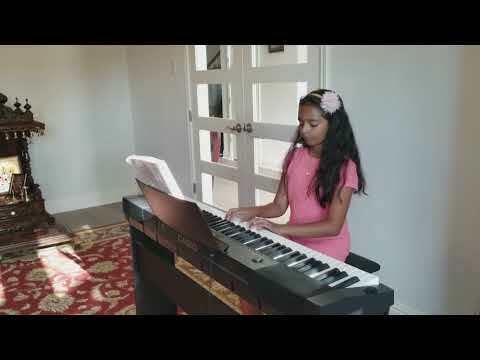 This is Ashmitha playing the Minuet in G by J.S. Bach. Great Job Ashmi! David is a great teacher. Excellent first lesson today! Well focused on individual needs and goals. Very professional and encouraging. Looking forward to working hard and learning a great deal from this fine teacher. Mr. David L. is a wonderful music teacher for our daughter. He is on-time, kind, and make music fun, comprehensive with tips that boost my daughter's confidence in reading music. We are very glad to find David through TakeLessons! Thanks for all you do. he's very patient without being condescending or patronizing. works very well with my 13 yo son. Wonderful first lesson. Well thought out with actionable steps for me to work on this next week. David was fantastic with my son... extremely patient, better than anyone we've worked with in the past as far as keeping my son engaged and interested in the subject. He has a great feel for feeding out just enough information without overwhelming the little ones. David is an excellent teacher, unfortunately my schedule doesn't allow me to continue taking lessons. I would highly recommend David to anyone looking for music lessons. David is very together and great for an adult student. Excellent first lesson. Before the first lesson, David listened to the areas I wanted to improve and then at this first lesson he proceeded to address those areas. I have had several years of lessons before with two other teachers. David will definitely help me improve quickly by building on my current skills. Great start! David is so patient and encouraging. He is really helping my 9 y.o. daughter to learn to play ukulele. FIRST LESSON was a great experience. Although my 12-year old son was hesitant about Ukulele lessons, he immediately felt relaxed with David. Of notable qualities...David was professional, very patient, redirected my son when he got off track, boosted his self-esteem with words of encouragement, and took the time to answer any questions my son had after the lesson was over. My son left excited and looks forward to his next lesson. My daughter started lesson with David about a moth ago and she makes a lot of progress already :-) David is a very good teacher, he is patience and makes learning fun and interesting. He gives her an assignment then he will follow up in the next lesson. Seems that David makes my daughter to like and enjoy piano more than before. I strongly recommend David if you are looking for a good, fun, and reliable teacher! David is a consummate professional. He has been giving our 10 year old daughter in-home lessons for a few months, and she is thriving under his tutelage. She has been making great progress with every lesson, thanks to his patience and excellent teaching skills. He is definitely great with teaching children. We highly recommend him! David is very professional, polite and always on time, at the same time makes it fun for the kids so that they can enjoy music. My son felt piano is more for girls but after meeting with David and doing star wars music he is now interested in music lessons. My kids really enjoy their lessons with David. David was on time, thorough, focused, professional, and a wonderful teacher, and I could go on. My daughter is looking forward to many more lessons with him to come! David is such and awesome person and teacher. I feel very confident that i will continue to get better. He is very encouraging and very patient. I would definitely recommend him. I learned so much in the one lesson. I have homework which i like... i need the accountability. David was very kind, and patient and willing to answer my many questions. 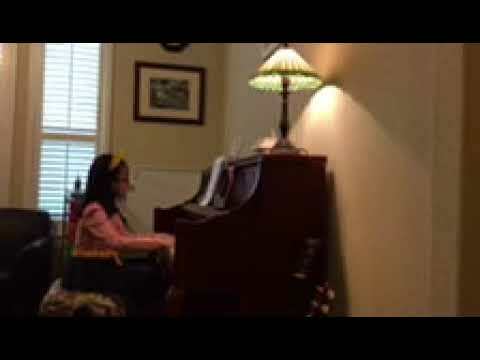 I felt relaxed and a little more confident that I will be able to learn Piano. David was our family's music teacher for the last 6 years. He taught my son piano, electric guitar, acoustic guitar, and music theory and composition. He also taught my daughter piano. He is an excellent teacher. He is very good at approaching music from the student's level and growing with them by bringing in new theory or music when the student is ready. He is in no way intimidating and is very good at instilling a love of music. He has a warm and gentle nature and can relate to very different personalities. The only reason he is not still teaching our family is that he moved. I highly recommend him. We were fortunate to have David recommended to us by a family member. Not only did he come to our house and save us the added stress of traveling during our busy week, he often stayed longer than scheduled to ensure understanding of new skill(s) being taught. He was calm, professional and patient and had an adaptive approach with our son that increased his confidence when he struggled. David L. Was highly recommended to us by multiple people. He taught my two daughters piano for 1 1/2 years before we said a tearful goodbye as he moved to Texas. David L has a perfectly magical way in communicating to young students. He always spoke positively and found something good to say about any piece they played. He would then very positively guide them towards the correct way of playing. My shy, nervous girls thrived. It is truly going to be a challenge finding his replacement, David L. is an amazing person and teacher. David is not only a great musician and educator but also a delightful human. We began using David six years ago as a piano teacher for my two boys. Since then my eldest moved on to acoustic and electric guitar and my youngest electric and stand up bass. Somewhere along the way I began to take guitar lessons also (I was David's most bearded student at age 48). David always came prepared to lead but also to follow, he often asked what we were listening to and taught us how to play it. His ability to listen to a piece of music and transcribe it always left me amazed, we have several notebooks full of songs we learned individually or played as a group. After a shoulder injury David continued to impress by teaching me music theory instead of our usual lesson. I could go on forever, David made a positive impact on my family and feel fortunate to have met him.